Northamptonshire County Council is looking to the boroughs and districts collecting an additional £6m in council tax this year in order to help it make its savings target. The county council’s long-awaited stabilisation plan has been published this afternoon (Oct 1) and has revealed that a key part of how it aims to balance its finances this coming April is to ask other councils to improve their tax collection rates. Fraudsters who are claiming they live alone and receive a single persons exemption will also be targeted, as well as those who are behind with their council tax payments. The £6m hoped for is a third of the £18.2m worth of savings the council has announced. But it has declared today that £11.2m of £35.4m original savings outlined in March are unachievable and the authority on top of this has to deal with the £35m deficit from the 2017/18 financial year. The county’s eight districts and boroughs collect the council tax payments and then after keeping their own levy, distribute the rest to NCC, the police and the town and parish councils. The lion’s share, about three quarters, goes to the county council, so if collection rates are lower than they should be then the county council’s finances are affected the most. Leader of South Northants Council Ian McCord said his authority is already one of the best performing councils in the country but he would strive for improvement to help collect more funds. He also said the idea to beef up the county council’s collection services was something he had proposed to the county council’s then leader Heather Smith three years ago but the proposal was ‘pooh poohed’. Cllr McCord said: “If the county council had looked at this earlier then it might have eased some of its financial pain. As part of the collection plan the authority may also commission its shared service LGSS to help crack down on those fraudulently claiming a single person’s exemption. The financial crisis at the county authority led to the government earlier this year requesting that Northamptonshire’s councils put in a bid for a unitary system. 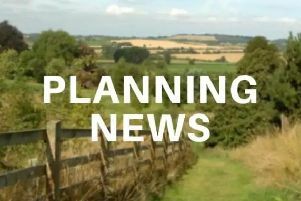 A two-unitary bid was put forward in August and the current timetable is for the two super councils to be in place for May 2020.